Mobile gaming continues to be on the rise, and SuperPhillip Central recently entered the fray with mobile game reviews, starting last month with Rayman Adventures. Now, SPC turns its attention to Dragon Land, a free-to-play 3D platformer with a surprising amount of quality to it. However, in-app purchases and microtransactions do rear their collective head into things to murky the waters a bit. See how with my review. I've been getting more and more into mobile gaming since I finally entered the correct century and got a smartphone and tablet. I'm always searching the App Store and Google Play for the latest games to see if any tickle my fancy. Generally the ones that appeal to me are what-you-buy-is-what-you-get-- that is, games that are complete and without the need for in-app purchases. That's how I am most of the time, but occasionally there are these free-to-play games with microtransactions and IAP that do appeal to me. 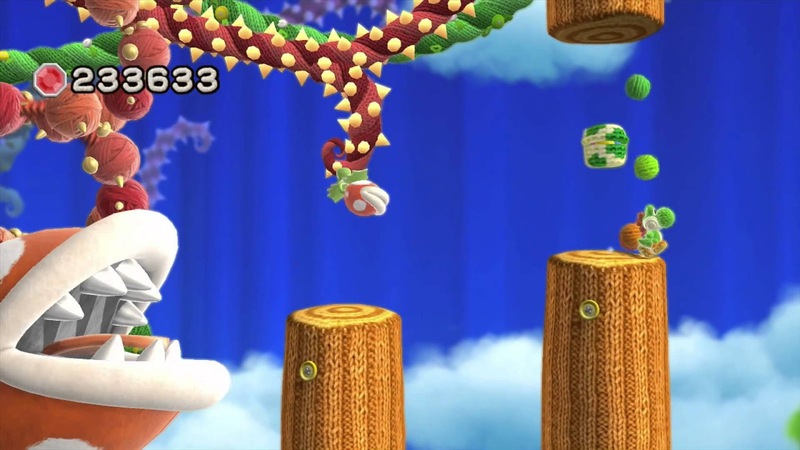 The generically titled Dragon Land is one of these, a 3D platformer in the style of Super Mario 3D Land. While offering IAP, Dragon Land still remains a fun and enjoyable game that keeps me coming back for more. The first world doesn't exactly show how competent Dragon Land's level design is right from the start. Dragon Land's focus is on rescuing other dragons to add to your assortment of playable characters. Each dragon rescued, which happens every other world, has its own abilities and specialties. For instance, the dragon you start off with can breathe fire on enemies and spread its wings and glide through the sky at a downward trajectory. Later dragons can do things like climb up walls, roll into foes, and dash in midair. The dragon you begin with, Blaze, is able to glide across large distances. Dragon Land plays like a combination of Spyro the Dragon and Super Mario 3D Land. You can double jump, bounce on enemy heads to defeat them, and run through the game's various levels. For the most part, levels have plenty of interesting geometry and challenges to them, though Dragon Land's first world isn't the best showing of how impressive the level design becomes as it's quite barren and empty. That said, Dragon Land's levels range from 3D affairs, 2.5D levels where you can move from left to right with the ability to move on the Z-axis, and totally 2D levels akin to Super Mario Bros. The 3D levels have a camera that automatically moves itself, turning itself when you reach a corner of a level, and rarely being a nuisance. Really the only time Dragon Land's camera in 3D levels is not useful is when you want to backtrack. You pretty much have to keep running towards the screen, hoping you don't run into anything. No need to focus on depth here. You just need to move left to right. You may want to backtrack because most levels have some cleverly hidden secrets to be found in the form of red crystals and golden keys. The former need to have enough collected so you can take on that world's boss, while the latter unlocks bonus levels which are generally more difficult than the mandatory ones. Still, levels are short enough that you can just replay a level to try to uncover the hidden goodies you may have missed in a previous run. Well, that is except for the stamina system Dragon Land utilizes. You have a maximum of five hearts which one is taken away from your count for each attempt of a level you do. This means that if you die in a level, which isn't that hard to do since you tend to die from two hits despite having a large health bar, you have to use up another heart just to retry it. Hearts do fill back up after waiting for a little while, and you can refill a heart by watching a trailer (though the types of games that are advertised via trailers don't fit the demographic of Dragon Land at all...). However, there is no way to just buy infinite hearts so you can just enjoy Dragon Land at your leisure. Bees, bugs, and other bothers hope to cut your dragon-saving adventure short. Furthermore, later levels require your dragons to be at a specific maximum health to complete them. You use coins to "level up" your dragons, granting them more health and higher attack strength. Coins can be collected in standard levels, and you can also earn them by doing golden quests that need a cool-down period before you can play them again. Once a dragon has reached a maximum level, you need to use gems to increase their level cap. Gems are found in levels, but are pretty scarce overall. The local wholesale shop must have had a big sale on spikes. The option to purchase coins, gems, and hearts with real world money is an option. However, this really isn't necessary unless you're very impatient to play more of Dragon Land, which since the gameplay is so enthralling, I can see how that can be tempting. Regardless, coins are a ripoff to buy since you can earn them so easily. Five bucks worth of coins can be earned quite quickly in-game. Gems are more worthwhile, but they can be accumulated by playing levels and getting rewards from sacrificing red crystals or a daily free gift. There are also bonus dragons and different skins for your assortment of playable dragons, though this is where Dragon Land goes from serviceable IAP to downright preying on its demographic. New bonus dragons and skins cost plenty of gems, and gems are quite expensive to buy with real world money. Parents, make sure you keep your credit card information away from your children-- just in case! The world map screen, full of places to go and IAP to see. No controller support is available for Dragon Land, but that isn't a problem since the touch controls work so well. The virtual analog stick feels good and gives you a nice feeling of control over your dragon. The "buttons" for jumping and attacking are spread just enough apart so that you never mistakenly do one action instead of the other. Tapping on your dragon's icon to change dragons mid-level (something that you can do for any level save for the ones that require the use of one dragon) is also incredibly easy to do on the fly. Worlds range from tropical islands to Old Western mines. Dragon Land looks quite good on smartphones and tablets. The lighting is pretty impressive, the draw distance is incredible, and the frame-rate generally keeps itself in shape. The worlds are suitably colorful and quaint, exuding plenty of personality. Character models look pleasant, though they don't offer much in the way of detail. The music isn't anything special, but it does remain fitting for the game, whether it's level music or the various fanfares and jingles heard. Overall, Dragon Land is appropriately cute and kid-friendly. Rocky is at home when he's climbing walls, but he also likes having four feet firmly on the ground. For those wanting a competent 3D platformer, Dragon Land is that and more. If you can stomach the stamina system, needing to increase your dragons' health bars, and certain gates that impede progress, then you'll find a game that has rather nice level design, fun platforming, and plenty of well hidden secrets to find. It's by no means a game that will take Mario's throne in any parallel universe, but Dragon Land is excellent platforming for a mobile devices. Today's Good Friday, so let's talk about something good! No, let's talk about something great. No, something excellent. No, something-- well, you get the idea. It's Best Levels in Gaming History, and we've arrived at the sixteenth volume of this long-running series of articles. These levels, maps, areas, tracks, etc. on this list are the cream of the crop, the cleverest, the smartest designed, and feature things that make them worthwhile over the competition. We have a wide selection of games this volume, everything from Star Wars Battlefront to Kingdom Hearts. The Star Wars series is home to some incredibly impressive locales, whether it's the deserts and canyons of Tatooine, the cloud city of Bespin, the cold caverns and wilderness of Hoth, and yes, the forested home to the Ewoks in the Forest Moon of Endor. 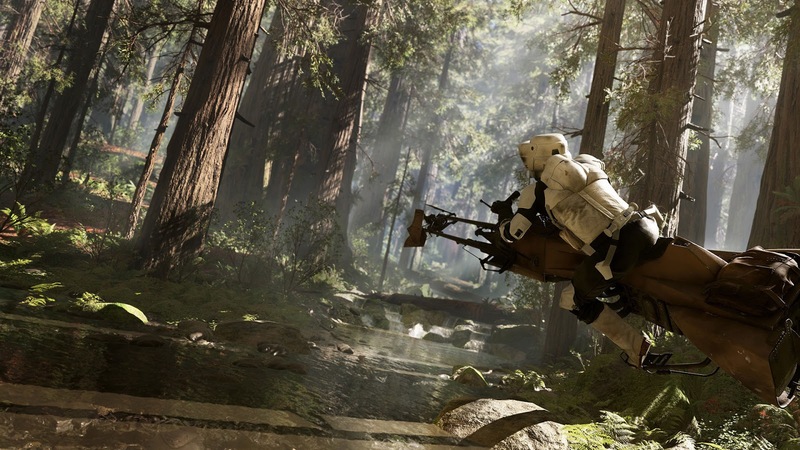 The version in the latest Star Wars Battlefront is an idyllic wonderland of trees, brush, and bushes, perfect for sneaking up on the enemy, setting up vantage points, and engaging in some immensely intense firefights. Whichever mode you decide to play in, you can bet that you'll have a hard time not wanting to admire the tranquil beauty of the heavily detailed tree trunks, grass, and brush that covers the map. Just don't spend too much time scoping out the sights as your squadron needs you! Continuing with the science fiction theme, though with much different source material, Star Fox Zero is due out in less than a month from now after seeing a five-month delay. 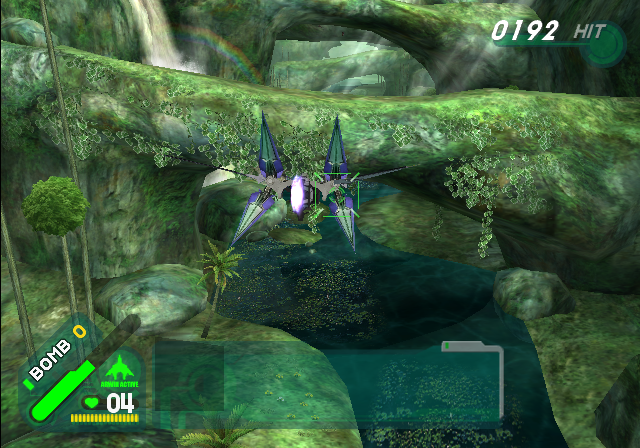 While the quality of that game is up in the air, though previews have been kind, the quality of Star Fox: Assault on the GameCube is more well known. 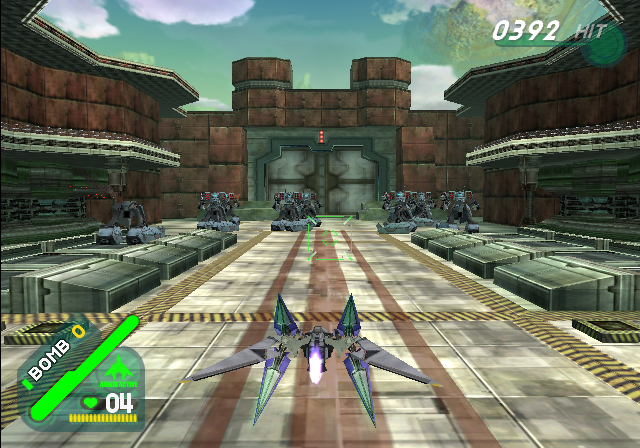 It offers exactly three levels of traditional awesome on-rails Star Fox action, while the rest is done in full range mode with on-foot action, which is a subject that fans are mixed about with more fans disliking that direction than liking it. Regardless, Fortuna is the first of ten missions in Star Fox: Assault, and it's a two part mission. The first takes place in Fortuna airspace, having Team Star Fox chase after the remnants of Andross' army, led by his nephew Andrew Oikonny. The combat is superb, the action is heavy, and all the goodness of the gameplay of Star Fox 64 is present in this mission. The fun continues on Fortuna, a grassy world full of vegetation and Oikonny's forces. While the former is nice and quaint, the latter has got to go. Jetting through jungles and into an outdoor robotic production facility, Fox McCloud and crew lay waste to enemies throughout their path to meet Oikonny and take him down once and for all. After an easy boss fight against Oikonny, the true villain of Assault makes its presence felt with a second boss fight, the nefarious Aparoid insects. 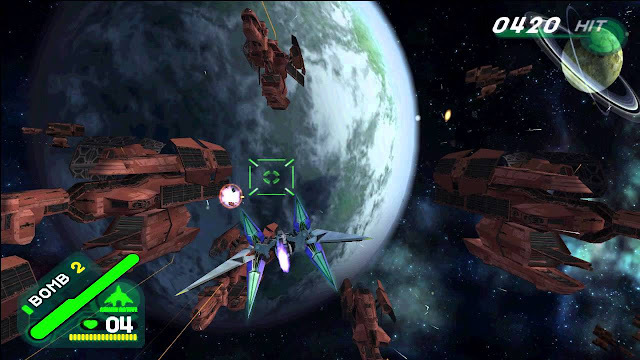 Both boss fights feel like the old days on the Super Nintendo and Nintendo 64, and had the development team adhered to this type of gameplay for the rest of the game, perhaps Star Fox: Assault would be put in a better light with its most hardened critics. 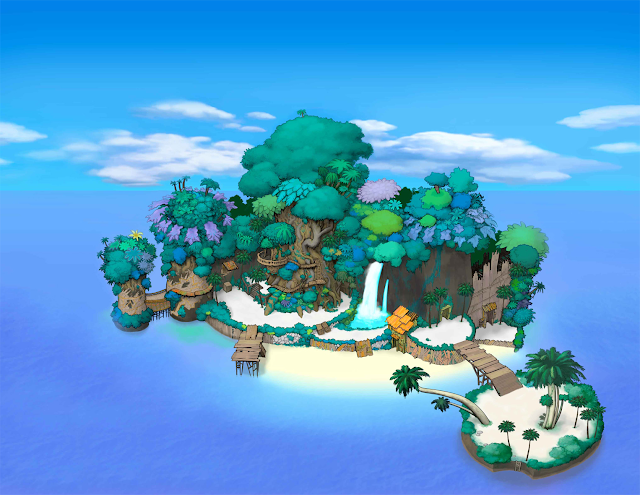 A collection of quaint islands in the original Kingdom Hearts where series protagonists Sora, Riku, and Kairi call their home, the Destiny Islands are essentially a safe haven for beginning players new to the Kingdom Hearts series. Even upon future play-throughs, the opening scenes and tutorials that occur on the islands aren't anywhere near as tedious to go through as say, Twilight Town in the immediate sequel. Multiple islands make up the Destiny Islands, including the main stretch of land where the school is, a small-sized beach and dock, as well as a town in the distance that is unavailable to do anything but see from afar. From across the main island is a smaller island where a cove is located, a raised island where Sora can take on Riku in a practice sword fight, and so much more. I like the ambiance of Destiny Islands, and it helps that Yoko Shimomura delivered an exquisite and infectious tropical theme to complement the area well. 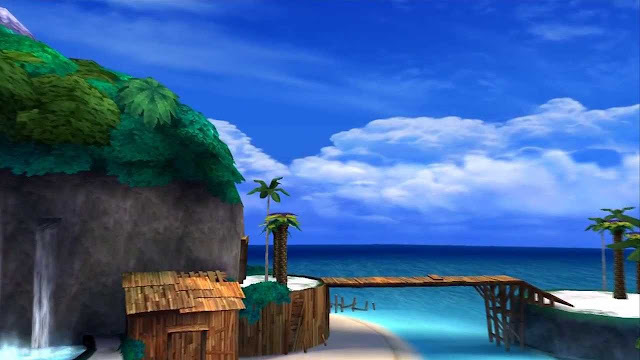 The Caribbean-like setting and beginner-friendly tutorials of Destiny Islands make it not just a memorable location, but one that obviously is important to the entire Kingdom Hearts series for kicking all of the following events of future games off. After defeating Naval Piranha in the World 4 fortress and collecting every flower in each level of the world, a special level becomes unlocked in true Yoshi's Island tradition. This level is no walk in the park, because quite frankly, if you try to just walk through this fast, auto-scrolling level, you're gonna get gobbled up by a very mad, gigantic Piranha Plant. Yes, Naval Piranha is back, and this time it's personal. The level is an auto-scrolling one that requires Yoshi to remove obstacles in his path to avoid a pursuing Naval Piranha. 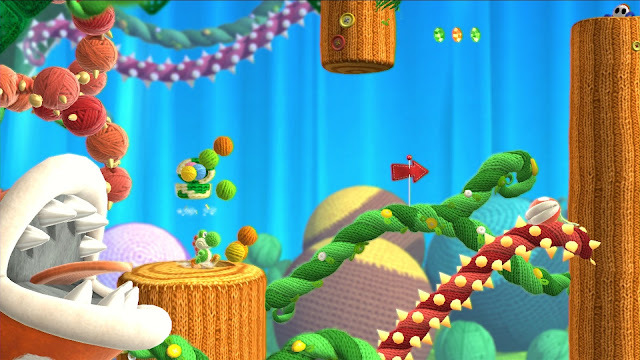 This level is one of the most difficult in Yoshi's Woolly World, but thankfully the collectible rule isn't the same as it was in Yoshi's Island. You don't need to get full health, all five flowers, and twenty beads in one run. You can do it across multiple runs, and this is almost necessary unless you have amazing dexterity and a strong resolve. Near the 3/4ths mark of the level, no longer can you throw yarn balls at Naval Piranha to slow the beast down. Instead, it charges much faster, forcing Yoshi to speed up his movements or face a ferociously frightful fate. Clear obstructions out of the way quickly, Yoshi! The goal ring is in sight! Yoshi's Woolly World will most definitely see other levels on future installments of Best Levels in Gaming History, but there's no doubt in my mind that World 4-S is one of the game's greatest. We end this edition of Best Levels in Gaming History with some retro goodness in the form of Mega Man 5. While not the most critically acclaimed Mega Man game, Mega Man 5 features some really well done levels. My personal favorite, not just from Mega Man 5, but from the entire Mega Man series on the NES is Gravity Man's stage. 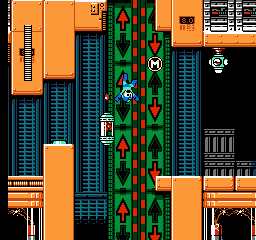 This stage predictably uses a gravity gimmick to it, where upon hitting arrows lit up on walls, Mega Man falls into the direction of the arrows. These arrows only go up or down, never to the left or right. You're always either on the floor or on the ceiling. This gimmick is used to great effect, sometimes requiring you to do some perilous jumps where you start out on the ceiling, jump, and wind up on the floor, all the while passing over a problematic bottomless pit. Gravity Man himself is a fun fight as well. You're never on the same plane as him. 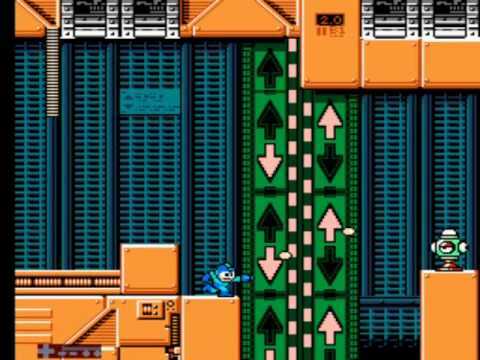 He constantly switches gravity between the floor and ceiling, so Mega Man's only opportunity to deal damage is when both combatants pass each other in the center plane. Gravity Man's weakness is the Star Crush from Star Man, but charged buster shots work just as well as the boss isn't too tough. The main danger here is crashing into Gravity Man himself. Though approximately 20 days away from release here in North America, Nintendo has posted the Bravely Second: End Layer television commercial to its YouTube channel. No doubt we'll see this ad at the same locations of prior ads like Fire Emblem Fates and The Legend of Zelda: Twilight Princess HD. Bravely Second: End Layer risks it all on store shelves on April 15th. The Summer Olympics in Rio are a while away, but that doesn't mean we can't start Olympic Fever a little early. At least that's what Sega is doing with Mario & Sonic at the Rio 2016 Olympic Games. Here's my review of the Nintendo 3DS version. Note that the Wii U version is set to be released in June. 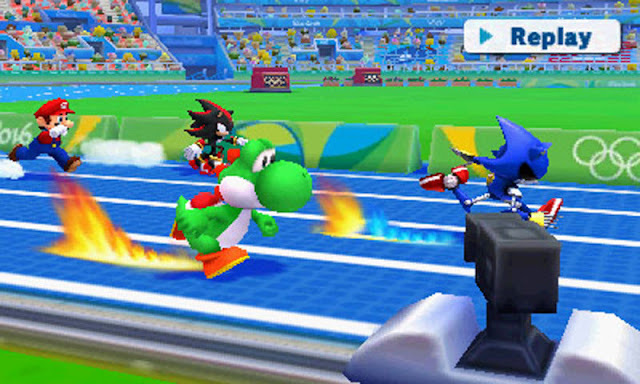 The Rio 2016 Olympic Games occur this summer, but Nintendo and Sega are already cashing in on the competition fun with Mario & Sonic at the Rio 2016 Olympic Games, the first of two Rio 2016 Olympic titles featuring Nintendo's and Sega's all-star mascots. The last handheld Mario & Sonic game failed to be that enthralling with a modest amount of content and some frustrating controls. However, with Rio 2016, Sega is back on the right foot, out of the showers, and ready to compete. 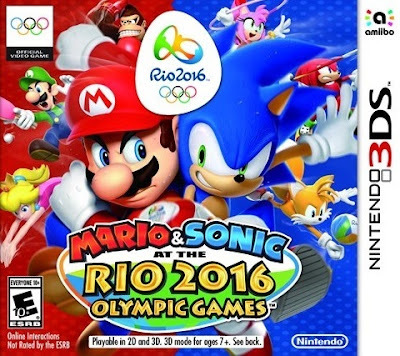 The main single player mode in Mario & Sonic at the Rio 2016 Olympic Games' 3DS version is the Road to Rio. Here, you get the choice of joining either the Mario or Sonic gym, and you compete in a week-long event-filled mode with your Mii. Each day starts off with you being introduced to your opponent for the finals of a particular event. Each day has a different event that is played, and not only that, but the event played also depends on the gym you're representing. First things first, however, you need to complete the preliminary round for a given day before you can take on the Mario or Sonic gym rival for the finals. You can immediately jump into the preliminaries and hope for the best, but it's recommended to explore the map and participate in various training mini-games of which there are two to four each per day. These training mini-games are bite-sized events that focus on individual challenges featuring simplistic versions of sports like kayaking, long-distance swimming, badminton, water polo, and handball. I call these simplistic versions because you're not doing the entirety of each sport. For instance, for handball, you merely serve as the goalie, trying to block as many shots as possible from entering the net. Metal Sonic wants to prove that he's superior to the hedgehog he was modeled after. Completing training mini-games earns you experience points to help level up your character. Each time you level up, to a maximum of level 10, you can equip more helpful clothing and gear to make yourself more formidable in each event. Each piece of equipment has a certain amount of stars it's worth, and you can't equip an outfit that has more stars than you currently have allowed to you. Thus, by gaining levels, you can equip outfits that are worth more stars. When you're prepared to take on the CPU in the preliminaries, you take on three other Miis in that day's event. Once you've done that, you can participate in the finals against that day's rival in that day's event. Beating your rival ends the day and starts a new one with a completely new rival and a completely new event. Each event has some semblance of depth to keep you coming back for more. Well, some more than others. Outside of this formula for Road to Rio, there's a loose story attached to the mode that is completely optional to do. You accomplish and complete the story by talking to specific characters throughout the mode's various days that have you exploring across four parts of the city of Rio. Not only can you converse characters to further the story, but you can also discover treasure chests containing things like new costumes for your Mii and melons, used to purchase special gear from Yoshi's stall. As solving the mysteries behind the Olympic Games is highly possible, you can find yourself missing an important conversation, thus ruining your chance of seeing the rest of the story. However, you can replay the series of days as many times as you want, and as long as you've already cleared the preliminaries and finals in a previous run-through, you can skip doing these events again. Thus, you can just focus on exploration and making sure you investigate the story elements of Road to Rio fully. Now, remember, Wario. That's a javelin, and not a toothpick to clean all of the garlic from between your teeth. Apart from the story, the events, and training mini-games, each day for each gym has a character you can compete against that awaits you somewhere on the game map. After beating the preliminaries of the day's event, you can take that character on in a Plus version of the event. 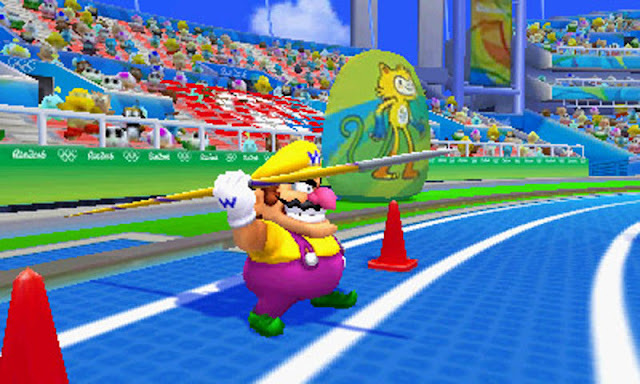 Plus versions on events take a well known Olympic event and spices them up with some wacky rules, such as having items available in Football Plus, trying to let thy arrow's aim be true by hitting moving targets held by the Super Mario Bros. series's Boos in Archery Plus, or nailing a Bingo in Beach Volleyball Plus. Beating that character at a Plus event unlocks them for Quick Play in that event. These hurdles rise and lower to trip runners up in the 110m Hurdles Plus event. Aside from the relatively meaty Road to Rio, the other main mode for Mario & Sonic at the Rio 2016 Olympic Game is yes, Quick Play. This mode allows you to play any event you like to attempt to go for an Olympic or world record, as well as lets you try to unlock achievements for performing well in a given event and meeting certain conditions. 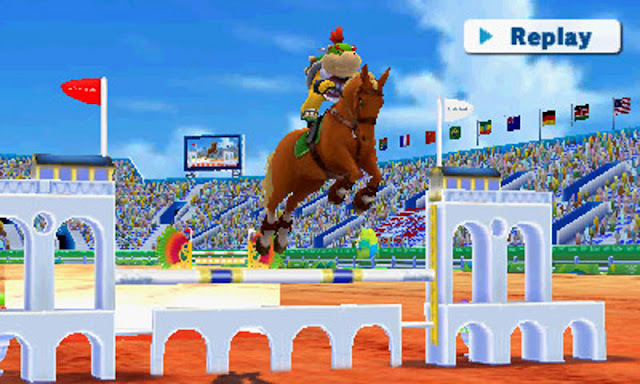 These achievements have three tiers to them each, such as getting 3 consecutive perfect jumps in the Equestrian event, 6 consecutive perfect jumps, and then 10 consecutive perfect jumps. Completing these achievements unlock rare equipment and gear not available anywhere else in the game. 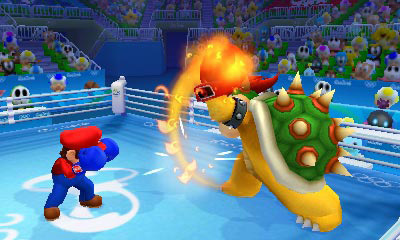 Bowser Jr. learned grace like this from Mama Peach back in the day. Unlike the past console versions of Mario & Sonic, Rio 2016 has but a selection of seven characters each to choose from for each event. Therefore you can't just choose Luigi for every event, as he is not available in Boxing or any number of events, for instance. This is a shame, as I would have loved to be able to see Bowser pedal for all his worth in BMX or witness Cream do her best in Rhythmic Gymnastics. Perhaps having all characters available in every event was too much to ask for in this lower budget version of Mario & Sonic's Rio 2016 romp. Each event shows you the controls ahead of time, as well as on the bottom screen in case you need a reminder. The events themselves in Mario & Sonic at the Rio 2016 Olympic Games use a myriad of control options to them-- some using buttons, some using the touch screen, and some using the 3DS system's gyroscope like to aim in Archery. The controls work well overall, and there weren't any events that I truly dreaded playing due to the controls. From speedily moving the stylus around in a clockwise pattern for Swimming to mashing on the A button to sprint in both the 100m and 110m Hurdles, the controls might feel a bit gimmicky but they don't get in the way of the fun. The major addition to the event lineup with Mario & Sonic at the Rio 2016 Olympic Games is golf, which hasn't been seen at the Summer Olympics in over 110 years. It returns to great effect, using the stylus to draw down on the touch screen and then quickly drawing a line forward to hit the ball on one of 18 different holes. Depending on how far back you draw a line, the power of your shot is altered, making for some precision golfing as something necessary if you want to stay under par. A perfect swing. 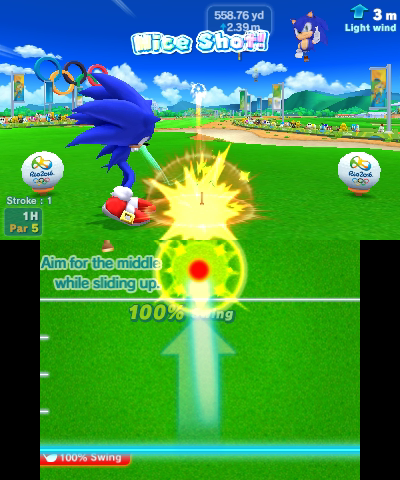 When can we see a Sonic Golf game to rival Mario Golf, Sega? With all of these fun and enjoyable events to play, it's a shame that there is no online option outside of sharing your best times and scores from the game's various events. Still, it is very welcome that Mario & Sonic's latest on 3DS offers local Versus Play as well as Download Play. The latter only requires one game card across multiple 3DS systems in order to play all of the events in the game. The only caveats here are the loading times for the Download Play players to load each event, as well as Golf only having one hole to play instead of several. At the same time, you can adjust the rules for most other events to your liking, just like if you were playing solo with Quick Play. Download Play certainly is a lot of fun, and since it only requires the previously mentioned one game card, you can easily entertain yourself and a friend or two or three with the game. 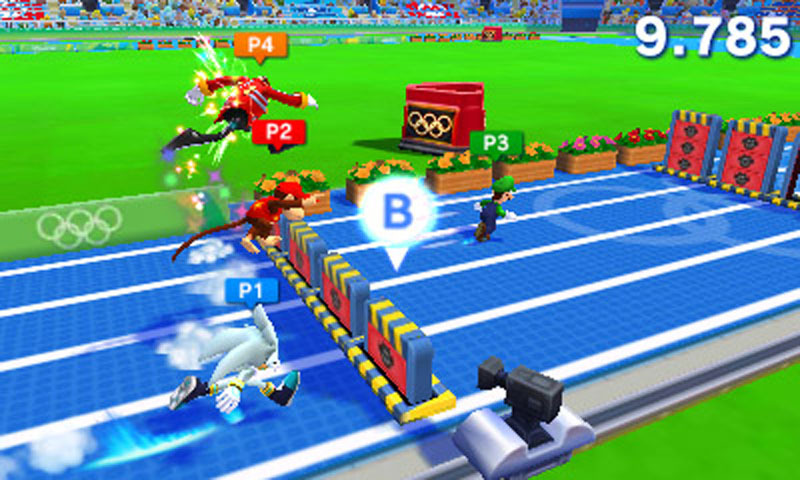 Mario & Sonic at the Rio 2016 Olympic Games is a gorgeous and well performing Nintendo 3DS game. The character models are highly detailed and impressive, and the backgrounds and environments are suitably bright and cheery, perfect for the sunbathed goodness that is Rio de Janeiro. The only real noticeable frame-rate problems is during slow motion instant replays. 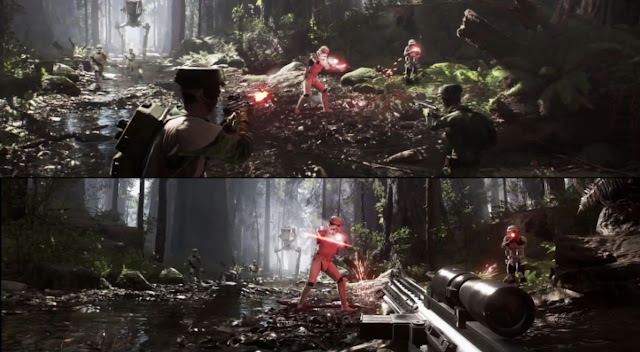 It doesn't look slowed down, more like the frame-rate sinks to under 10 FPS. Otherwise, the game runs smoothly. The sound is always phenomenal in the Mario & Sonic series, and this is no different with Rio 2016. The music is absolutely sensational, taking a lot of cues from music from the city with catchy and infectious brass, acoustic guitar, and percussion. Voice clips from the Mario and Sonic rosters are as charming as ever, though your mileage may vary on this particular subject. Overall, Mario & Sonic at the Rio 2016 Olympic Games is the best the series has seen on a handheld. Despite feeling like a lower budget affair compared to its upcoming console brethren (and let's face it-- that's because it IS a much lower budget affair), Mario & Sonic's latest sports entertaining events, mostly well done controls, awesome Download Play support, a sizable amount of content, and an impressive presentation. This game definitely deserves a place on the proverbial podium. Take a trip through the Star Fox series's history with this special trailer from Nintendo UK. Not only do we get a look at all past Star Fox games in really cool fashion, but the trailer concludes with some never-before-seen Star Fox Zero gameplay. Star Fox Zero launches next month, and you can bet that SuperPhillip Central will be covering the game. My favorite PlayStation franchise gets the PS4 treatment. Releasing next month, April 12th to be exact, the newest Ratchet & Clank is a remake of the PS2 original with a ton of new content attached to it. Check out this story trailer for the game and get ready to go commando! Time for a new review this Tuesday evening. It's for The Legend of Zelda: Twilight Princess HD, a game that reached seventh place on my favorite Zelda game top ten list. This review talks about the changes and improvements made to the Wii and GameCube original while also delving into where the game falters a bit. History lesson time. After taking The Legend of Zelda series into a more animated direction with The Wind Waker, the development team behind the series went for a more realistic look based on fan feedback. This new game would be known as The Legend of Zelda: Twilight Princess, and it would be revealed for the first time with a trailer at E3 2004. The trailer caused fans to cheer loudly upon its reveal. 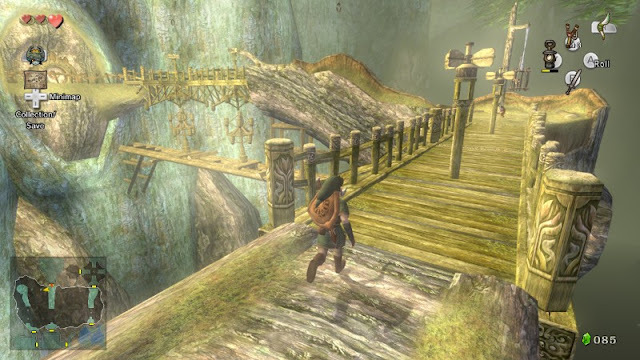 Twilight Princess was initially conceived to be the GameCube's last hurrah. 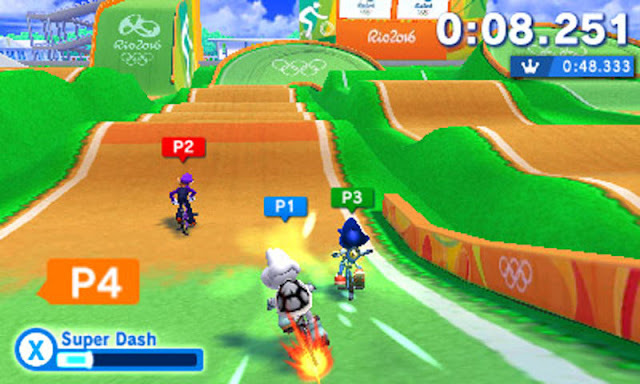 However, during development, the game would receive a version for Nintendo's then-newest platform, the Wii. 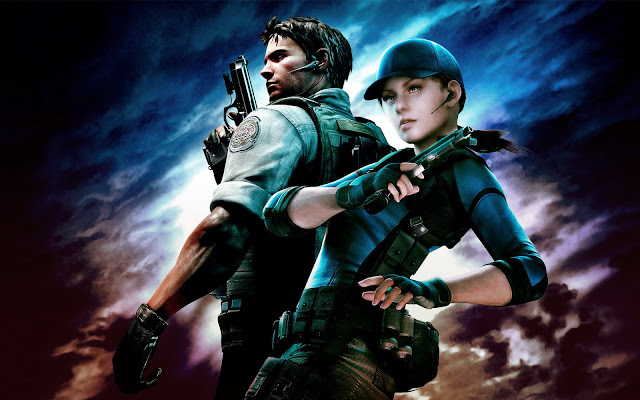 GameCube owners were slighted with a delay for that version while the Wii version released first, coinciding with the Wii's launch in the holiday season of 2006. The GameCube version would launch a month after. Now, Western developer Tantalus has worked closely with Nintendo to create an HD remaster of Twilight Princess for the Wii U ten years after the game's initial release. 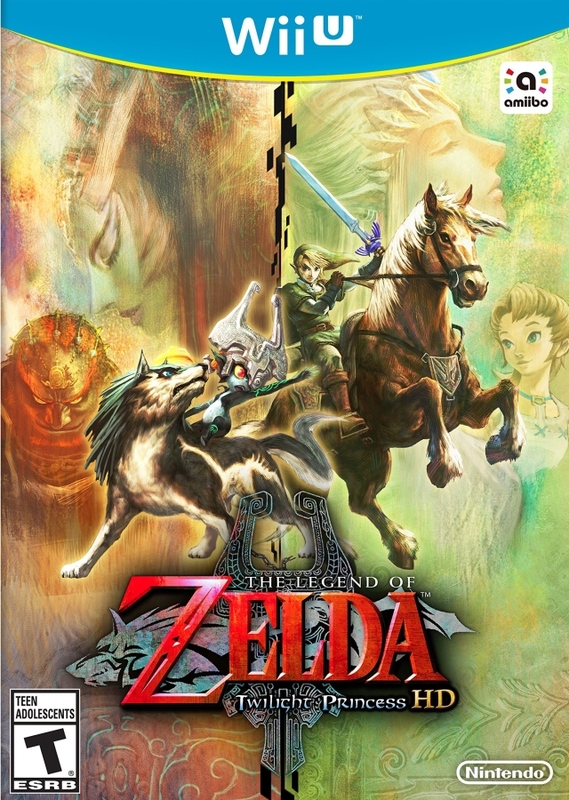 With new features and corrected issues that plagued the original versions, The Legend of Zelda: Twilight Princess HD is without question the definitive version of Link's adventure in both light and twilight. Both the children and the tater tots. Yessir! Let's first focus on what alterations and additions have been made to the original Twilight Princess compared to this new remaster. For starters and the big addition is a special trial dungeon similar to the Cave of Ordeals that is available by placing the included Wolf Link amiibo on the Wii U GamePad. This multiple floor challenge has you facing increasingly more challenging enemy combinations until the final floor where your prize is a wallet that can hold just one Rupee shy of 10,000. This dungeon is very challenging, but at the same time if I didn't have the Wolf Link amiibo and couldn't access the dungeon, I wouldn't feel like I'd be missing out on anything. In addition to the use of the Wolf Link amiibo, you can also use other amiibo to enhance the gameplay or just help you out in a pinch. For instance, using the Link amiibo during gameplay refills all of your arrows while using the Zelda amiibo refills all of your hearts. The Ganondorf amiibo is the most worthwhile, causing Link triple damage from enemies to make a generally easy game much more challenging. 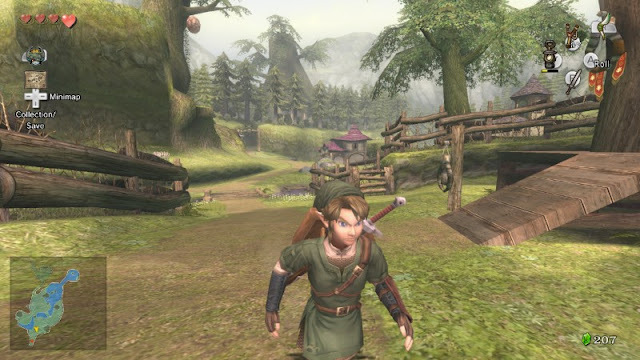 Every hero has got to start somewhere, and for Link his start is at the peaceful Ordon Village. As for alterations, a major problem and annoyance with the original Twilight Princess was the overabundance of treasure chests containing Rupees. If your wallet was full, you'd have to put the Rupees back in the chest. This made the need for exploration feel lessened, as why bother venturing high and low across Hyrule just to uncover a chest containing something you can't use? With this HD remastering, not only can you empty treasure chests with Rupees inside even if your wallet is full, but many of these treasure chests have their contents changed to something much more worthwhile. There's now no fear of having to put back whatever you find in this treasure chest. Twilight Princess HD replaces several chests with Rupees and instead adds Miiverse stamps. There are 49 stamps to collect from treasure chests, and the final one is given to you for collecting the other 49. These make it so exploration is worth something. Treasure chests that housed useless Rupees now hold something worthwhile, so now Hyrule is more exciting to explore. The Wii U GamePad is a great accessory to have with you on your journey to restore Hyrule to its former glory. Though, of course you can use the Wii U Pro Controller, but the luxury that the GamePad gives you aren't available here. I'm talking about having a map consistently on the screen, the ability to change items on the fly, and the option to use the built-in gyroscope to aim items like the Bow and the Clawshot. Those wanting the waggle of the Wii version for combat will be disappointed as it's not present at all in this HD remaster. Link is currently experiencing the horse equivalent of road rage. Along with all of these gameplay alterations is an ultra difficult Hero Mode that is available to you immediately from the start of Twilight Princess HD. This mode causes Link to take much more damage from attacks, which makes for a very hard game at the start due to only having a minuscule total amount of health at the beginning of the game. 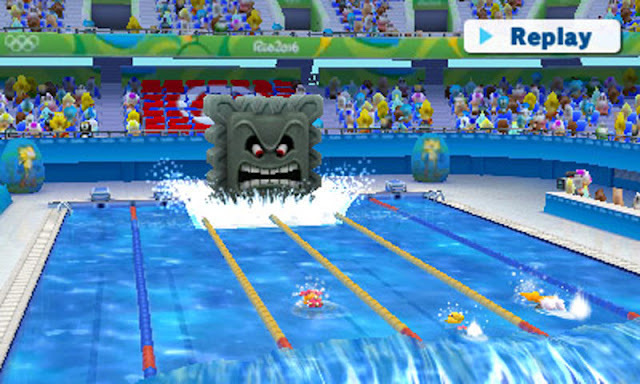 The map is also mirrored compared to a regular run through the game, meaning it is identical to what the original Wii version was. 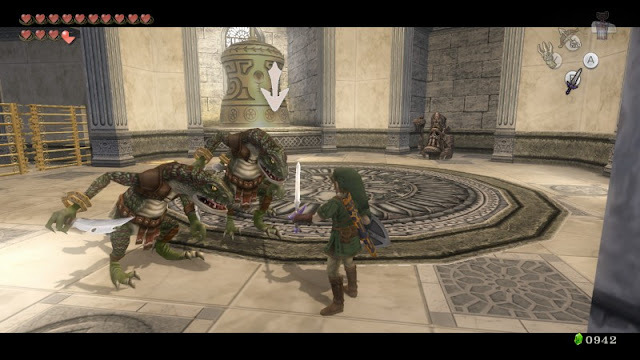 The regular mode of Twilight Princess HD matches the GameCube version. However, not all of the changes to Twilight Princess in this Wii U remaster are beneficial and for the better. The only alteration that I have a gripe with is with the controls of Epona, Link's trusty steed that he can speed across the landscape of Hyrule with. 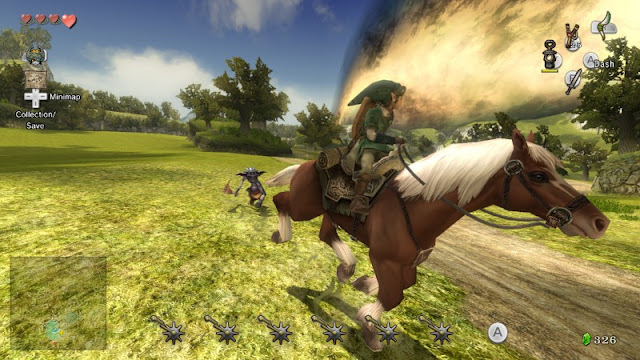 Epona handles much worse in Twilight Princess HD, handling more like a semi truck than with the elegance that she had in the original Wii and GameCube versions. Moving Epona to the left and right results in sudden jerks to her movement, making it so controlling her any time accuracy is required amounts to a lot of frustration. 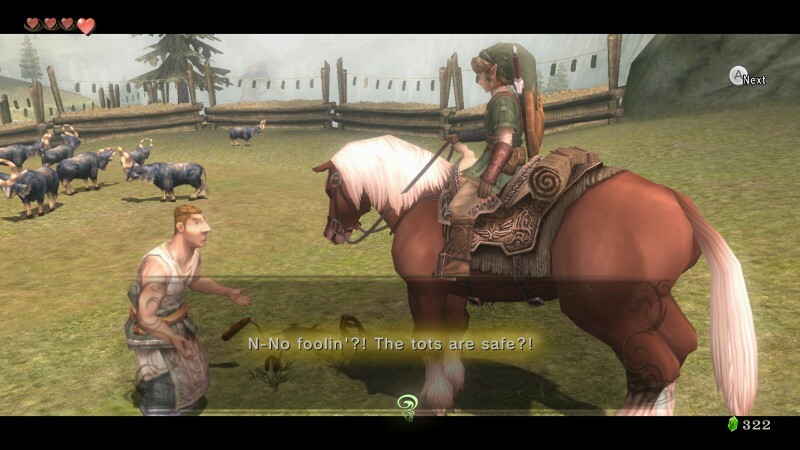 Epona confusingly controls for the worse in this HD remaster. Everything else that you loved about Twilight Princess is here in the remaster. And if you haven't played Twilight Princess before, then this is a perfect place to jump in. The exploration has much more meaning in the various discoveries, now making what seemed like a sparse overworld have much more to find in it, whether it be hidden chests, caves, dig spots for Wolf Link, and so forth. Combat is as wonderful as ever as well, utilizing Ocarina of Time's targeting system to lock onto nearby foes. How cowardly of you lizards to gang up on Link like this. The nine dungeons in Twilight Princess HD are some of the best the series has ever known. These not only have clever puzzles to solve, multiple enemies to take out, obstacles to overcome, treasures to unearth, keys to uncover to unlock doors, and bosses to battle, but they're paramount in progressing Twilight Princess' story. Use both brains and brawn to overcome each dungeon's tricky puzzles, traps, enemies, and challenges. The majority of Twilight Princess' story is left untouched. 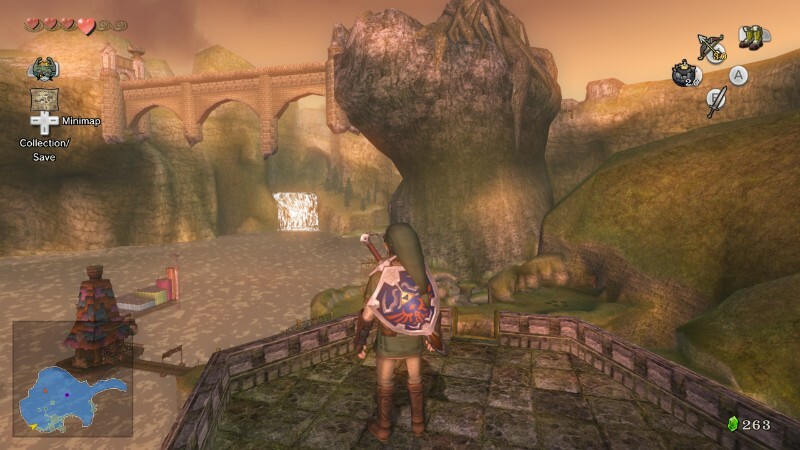 Those who want no nonsense and an immediate arrival at each of Twilight Princess's dungeons should look for a different Zelda game, as the story elements and activities between dungeons do pervade throughout the game. In fact, the beginning two to three hours of Twilight Princess focuses on Link's farm life at Ordon Village and introduces players to the Twilight Realm where Link is turned into a wolf and meets Midna for the first time. You don't reach the first dungeon of the game until after all of this, so it's a bit slow going at first. However, while this can seem tedious to go through all this, I enjoyed the gameplay and action outside of dungeons as much as I did inside dungeons. It's a nice change of pace, and there's very little bloat outside of three instances where Wolf Link must track down insects to restore light to twilight-soaked areas of Hyrule. 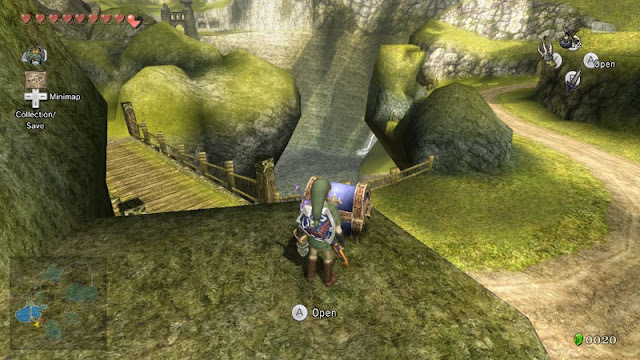 Twilight Princess HD is a beautiful game both visually and thematically. 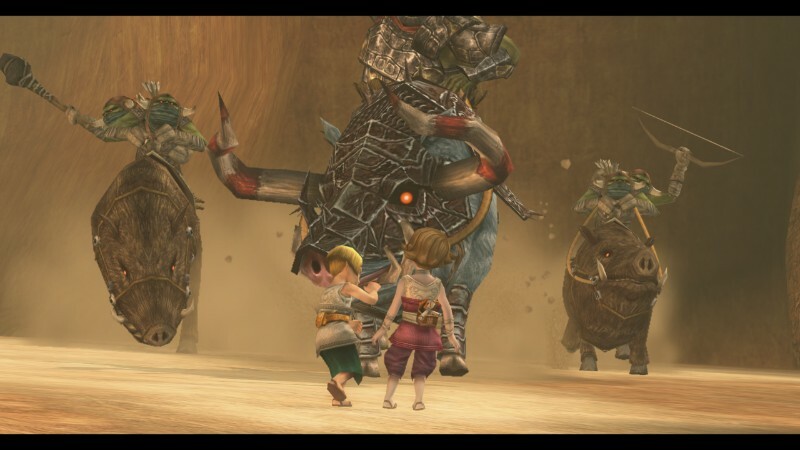 There are so many touching moments like one of the children from Ordon Village who is constantly teased acting brave, pushing another child out of the way of oncoming monsters, and gaining the other children's respect for doing so. As well as moments where Wolf Link howls a song with another wolf on two idyllic mountain peaks. These moments shine as brightly as the visuals, and then some. Young Colin has a heroic moment where he pushes his friend out of harm's way. The textures in Twilight Princess have been greatly upgraded with this HD remaster. Characters have much more detail to them as well. Meanwhile, the frame-rate is generally solid, though it does suffer on occasion. However, these occasions are few and far in-between. The music is as stellar as ever, but there have been no improvements made here. That said, even though it's all synthesized, the music supports the game's emotional and moving moments well. Link admires the view at beautiful Lake Hylia. With so many improvements to things that made the original Twilight Princess a chore to some players, there is no question that this Wii U HD remaster is the definitive version. All of the memorable moments of Twilight Princess shine brightly, the world is much more worthwhile to discover all of its secrets instead of ignoring, the dungeons are as remarkably designed as ever, and the game plays better than ever, save for riding Epona. Newcomers to Twilight Princess will also enjoy the game, though they won't realize how bad Wii and GameCube players had it back when the original versions released. Regardless, The Legend of Zelda: Twilight Princess HD is a must have for any action-adventure fan. It's the perfect appetizer to the upcoming Wii U (and possibly next Nintendo console) Zelda game. SuperPhillip Central's Favorite VGMs is ready for a fight this edition, leading off with Ryu's familiar theme from Street Fighter V. We then go soft with the main theme from Naughty Dog's The Last of Us, one of the more critically acclaimed games from last generation. Then, we go back to more fighting with music from Bravely Default. 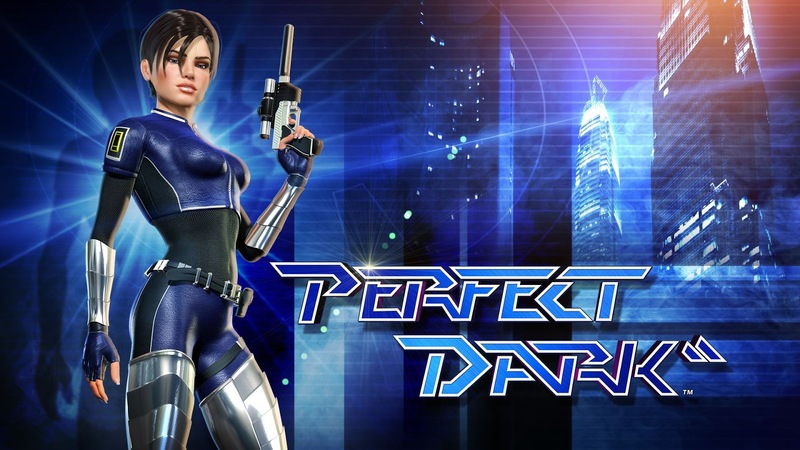 Next up is some rockin' credits music from Perfect Dark, and finally, we do even more fighting, except this time it's for our lives, with music from Resident Evil 5. If you want to keep track of all the VGMs previously spotlighted on SuperPhillip Central's Favorite VGMs, look no further than the VGM Database. 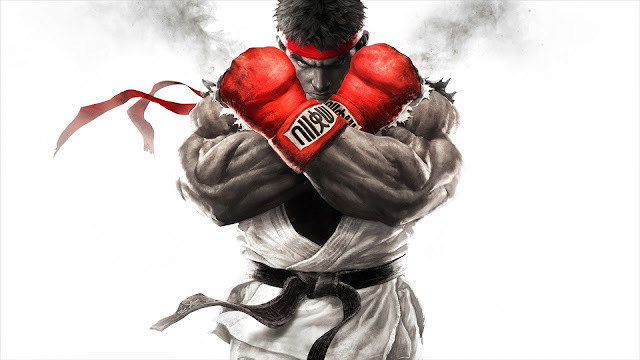 Fighting game fans know Ryu's Theme as sort of an anthem of sorts. Sure, it doesn't go with everything like Guile's does, but it's a heroic and triumphant theme all the same. Street Fighter V released last month to lots of criticism for its drip-feeding of content. There isn't much to the game right now, embarrassingly so, but over the months content will come to the game. 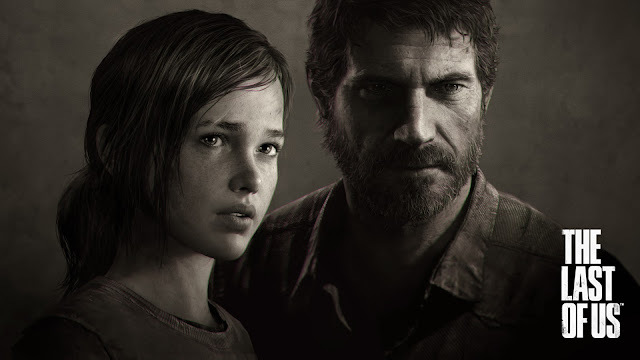 The Last of Us soundtrack features plenty of subdued and forlorn sounding songs to it. This main theme from the game has an acoustic guitar playing the main theme supported by occasionally harsh chords, leading to a foreboding sound. 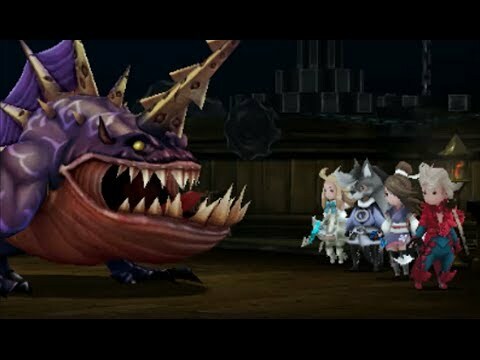 One of several boss battle themes from the imperfect but still worthwhile Bravely Default, Fighting to the End is a magnificent masterpiece of a composition crafted by the composer Revo. Conflicting schedules disallowed him from working on the soundtrack for the sequel, Bravely Second, releasing in April, but I'm hopeful that the sequel will have a soundtrack that I enjoy, though probably not as much as Revo's wonderful work. Rock on with the credits theme from Perfect Dark, one of my favorite first-person shooters of all time. This theme is a perfect (pun intended) end to Joanna Dark's mission after reaching the Skedar home world and taking down the leader of the alien race. This song got a lot of play during multiplayer matches via the superb Combat Simulator. With the Resident Evil series celebrating its 20th anniversary tomorrow, it seemed like an opportune time to bring in a VGM volume for one of the games from the franchise. This theme from Resident Evil 5 is a boss track, and it's quite intense, perfect for a battle that has you fighting for your life. The next chapter in the Star Ocean series, a franchise dating back to the Super Nintendo era, arrives on the PlayStation 4 in the West this summer. Although also arriving on the PS3 in Japan, only the PS4 version will be making it to our side of the world. Take a look at some impressive scenes from the newest Star Ocean with this story trailer posted by the official PlayStation YouTube channel.